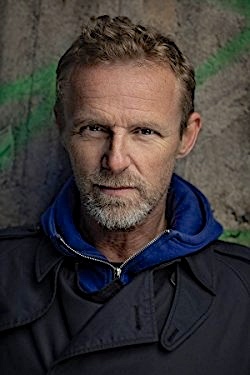 In the past twenty years, Norwegian author Jo Nesbo has published eleven thrillers featuring self-destructive former alcoholic detective/investigator Harry Hole in action, two Olav Johansen mysteries which are shorter and more literary, several stand-alone works, four children’s novels in the Doctor Proctor series, and the concept for a ten-part TV series, which is about to have its second season. Thirteen prizes, including the Peer Gynt Prize for contributions to Norway in 2013, have accompanied this prodigious output, and Nesbo is still writing with imagination, dramatic pacing, and careful characterization. This new installment, the eleventh in the continuing career of Harry Hole, includes most of the characters who have filled his previous novels with life, conflict, and even romance. Three years have passed since the last novel, Police, took place, during which Harry has been working as a lecturer at the Police College, a job in which he has inspired young officers without having to stare into the gunsights of criminals on a daily basis. He is getting his life back after being almost killed, and he is now happy and sober, married to his long-time love, with his stepson Oleg studying to become a full-fledged member of the police corps. Like all the other Hole novels, this one, too, is complex and carefully plotted, with overlaps, unexpected twists, and grand surprises in the conclusion. 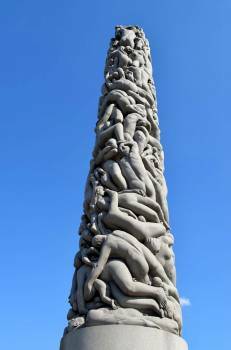 It is also filled with some of the goriest, most stomach-turning violence imaginable, one of the reasons I prefer Nesbo’s more literary Olav Johansen novels. To give Nesbo his due, the violence is directly connected to the murders involved, making the need to find the murderer and any accomplices much more immediate, and it does ratchet up the pace dramatically, however horrific the killings may be, adding to other complications in the plot which take place in the background. In this case, it also allows Nesbo to introduce yet another type of writing to his thrillers, a characteristic which makes Nesbo’s many novels different from each other and those of other thriller writers. Among the many different types of plots which Nesbo has explored are the historical (The Redbreast), psychological (Nemesis), pure horror (The Snowman), foreign action (The Leopard), and, in this novel, vampirism – though Nesbo is quick to say that the enemy in this book is not a vampire but a vampirist, someone who drinks blood but is not a supernatural character, a difference which may be too subtle for many readers. 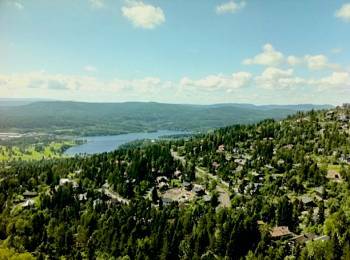 When the novel opens, Harry Hole has been living in virtual seclusion for three years in the hills of Holmenkollen, thirty minutes from Oslo. 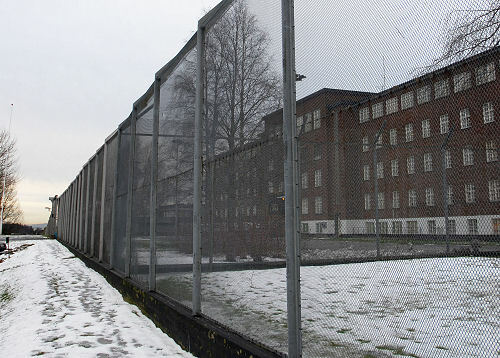 Ila Prison, where Svein Finne is incarcerated. Hole’s first big case led to Finne’s imprisonment, and he now wants to get information from him regarding the main suspect in the vampirist murders, who has escaped. Nesbo’s skill as a novelist is on prime display here as he delves into the personal lives of the members of the police force and the issues which may spill over to affect their professional lives. Some are willing to sell information to a journalist, some mourn the loss of a relationship, some find release in one-night stands, and Harry worries about his wife Rakel, who is seriously ill. His long-standing promise to her that he will stay out of the fray at the Police Station becomes an issue for him when he must decide whether to help with this case, which may save many lives in the city, or whether he will remain at Rakel’s bedside while she is ill and unconscious. The fact that the vampirist may be someone Harry knows from four years ago, the one person who “got away,” adds to the pressure. Murders continue and the relationships become more complex. Eventually, the reader becomes convinced that that vampirist has been caught, only to have the novel move in a new direction. Many surprises bring together all the threads of this complex novel in a grand conclusion, and they do so in a way which makes sense, deductively, not just by accident. Eventually, the reader believes that there has been a happy ending for the first time ever in a Harry Hole novel – and then the Epilogue sets up a new complication, paving the way for yet another suspenseful and addictive story in yet another volume. This novel presented a conundrum for me, and those who know me will know why. I have always enjoyed the Nesbo mysteries, despite my horror at Nesbo’s obvious love of blood and gore. His work, carefully crafted and very finely tuned, has always represented for me a total break from my usual reading and from whatever is dominating the news. My review just before this one was of Penelope Lively’s The Purple Swamp Hen, a collection of beautifully written, gem-like short stories, and I thought the contrast in styles between Lively and Nesbo would represent a complete break for me. 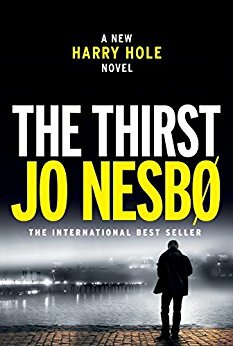 When I began this novel, I was disappointed by the immediate vampirist murder, however, and by the time Harry Hole appears for the first time, I was thinking that I might not continue the book, not because Nesbo was doing anything different but because the world at large had become different – the book didn’t really feel like enough of a break. Now I’m glad I continued to the end. Nesbo, despite the love of violence in his novels, is the real deal in his love for his characters and their values. Ultimately, Harry Hole and his friends won me over again for their principles and their dedication to what is right, against all odds and bloodshed.